Preheat oven to 325 degrees. 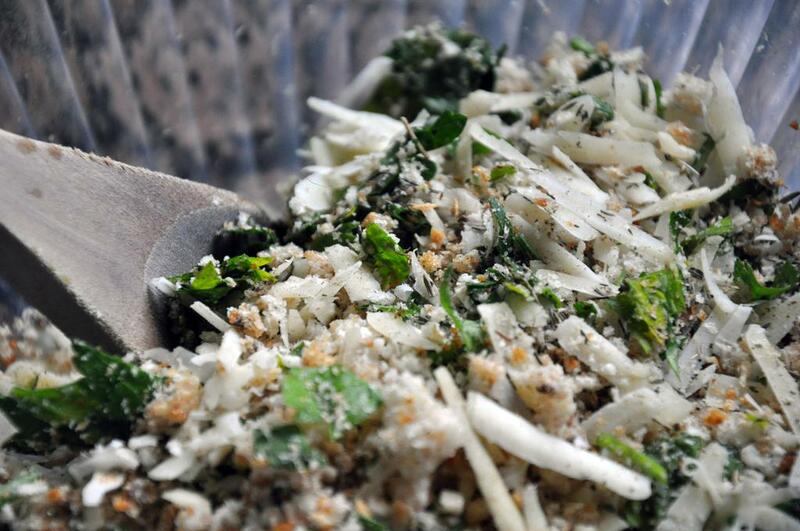 Combine breadcrumbs, parsley, cheeses, mixed herbs and pepper in a bowl. 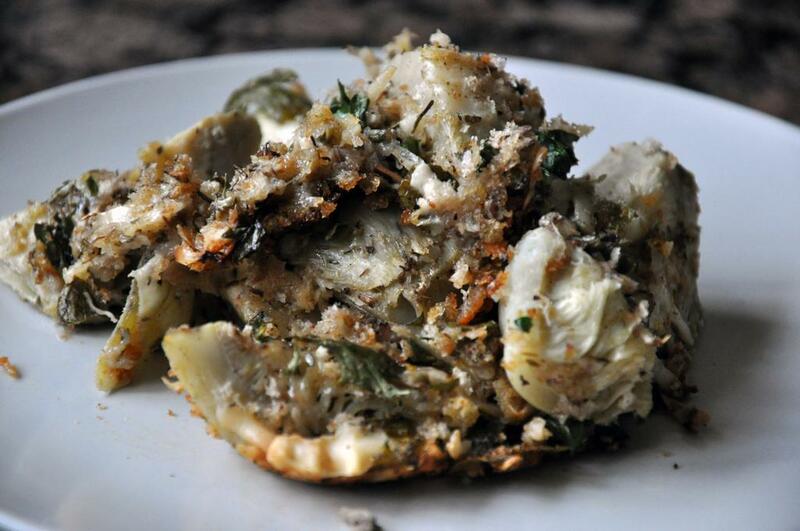 Spray the inside of a 2Q casserole dish with cooking spray and arrange the artichoke hearts evenly over the bottom. 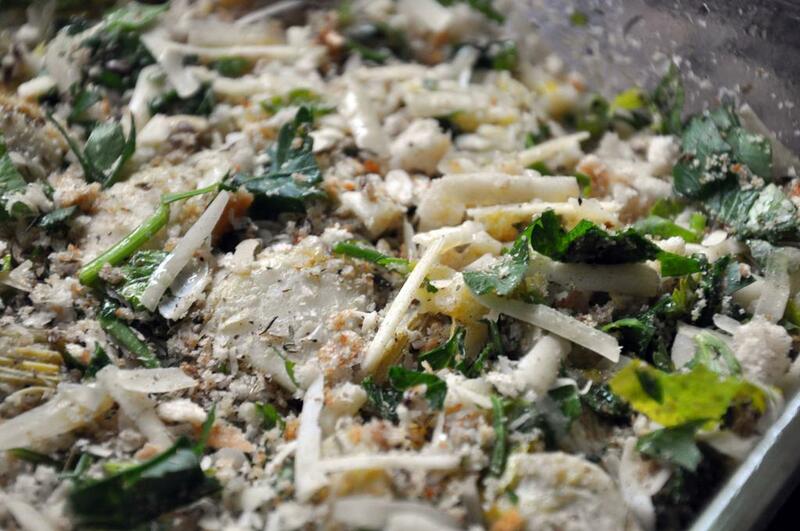 Spread the breadcrumb mixture evenly over the top. 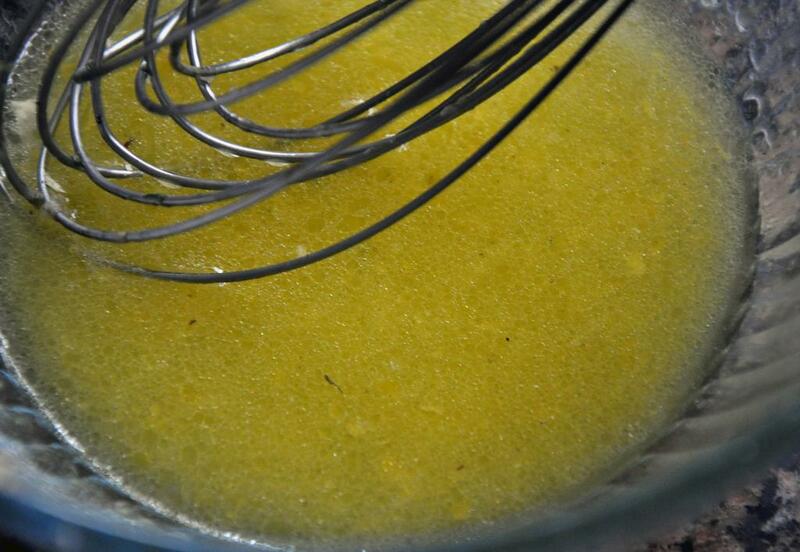 Whisk EVOO, lemon juice, lemon zest and garlic together. Slowly drizzle over the artichokes. Cover with foil and cook for 30 minutes. Turn up the oven heat to 375, uncover and cook for 20 minutes more until breadcrumbs are golden brown.